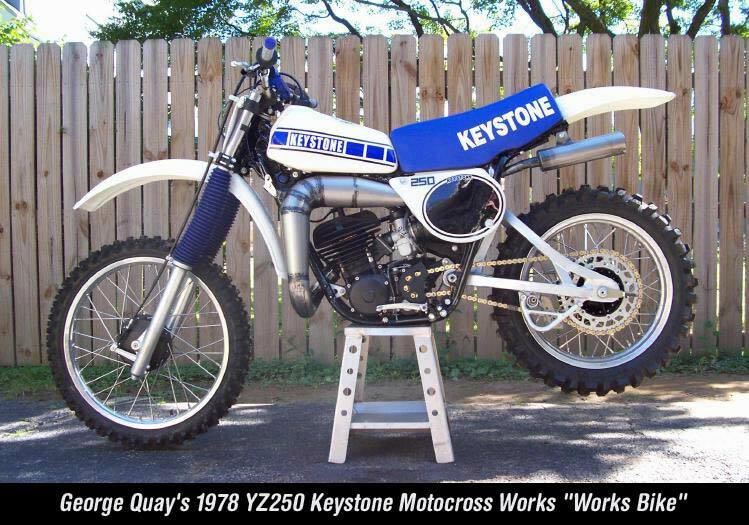 Pro-Action Suspension was founded by George Quay in 1977 under the name Keystone Motocross Works. At that time Keystone and White Brothers were the only two major players engaged in the modification of stock suspension components. Over the years technology and Pro-Action have grown together at astonishing rates. Through time and experience alone, nobody else can lay claim to being as uniquely qualified in the motorcycle suspension field as George Quay. Over the years he has studied all available forms of motorcycle suspension systems, and has taken the best of each system and developed a method of shock and fork valving that is second to none. George has worked as the field technician on the National Motocross Tour for both Works Performance and Ohlins, also covering the National Road Racing Circuit for Ohlins. He has designed and built suspension systems for many of the successful privateer teams, and served as race team manager for the largest ever privately owned motocross team, wrote a monthly column on suspension for Motocross Action Magazine, worked as a mechanic for several top privateers, and worked as a factory mechanic on the World GP Motocross Tour in Europe. Pro-Action suspension systems have won pro motocross national and Supercross events, international supercross races, X-Games and Winter-X Games, FMX championships, plus ATV and road race nationals. Motorcycle daredevil Robbie Knievel has set world records and completed many death defying jumps using Pro-Action Suspension. At Pro-Action, all our suspension systems are guaranteed to our client's satisfaction. Our warranty record on dissatisfied customer reworks is less than one quarter of 1 percent, almost perfect.